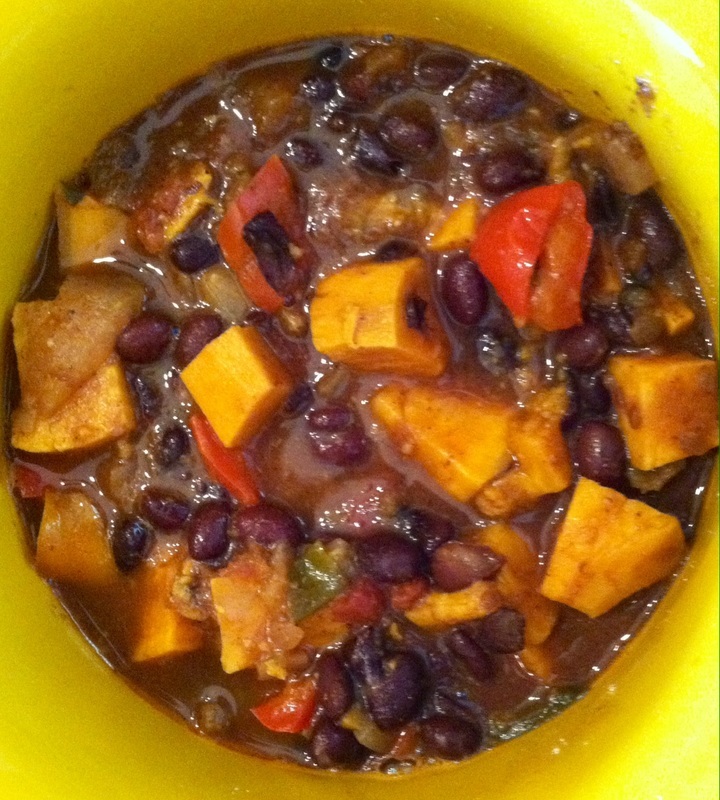 ﻿Although this chili is vegetarian it offers a bounty of hearty and filling disease fighting foods. The blend of spices lends exquisite flavor and warmth while simultaneously incorporating nutrients somewhat uncommon to many people's diets. This meal can be prepared on the stove or allow the flavors to fuse in a slow cooker. Turn up the heat with jalapenos or add some sweetness with corn. Either way including this dish in the diet will provide a satisfying meal and a unique mixture of nutrients. Store the leftovers in the freezer to have a healthy meal available even when times are hectic. Try to avoid adding crackers to the soup but instead serve corn bread on the side﻿. Make sure the corn bread you make does not contain hydrogenated oil of any kind in the ingredient list. These fats are not disease preventative and should not be included in the diet. Directions: heat the oil in the pot on medium heat. Chop and add the onion. sauté until softened. Add the sweet potatoes, bell peppers, garlic and jalapeno. Add the salt and pepper and cook vegetables until tender. Add all of the spices and herbs and stir to combined. Add the tomatoes, beans (washed and drained) and broth and stir to combined. Turn the heat on high until the chili reached a boil. Turn the heat down to low and cover with a lid. allow to simmer for an hour. If you are preparing the meal in the Crockpot chop and drop all ingredients in the slow cooker and stir to combined. Heat on low for at least 4 hours.